The Jaeger Uprising Recruitment Video for Pacific Rim Uprising has officially been unveiled! For those who have forgotten the world of the franchise, the video provides a reminder, allowing anticipation for the film to build. It also serves to introduce audiences to John Boyega’s character in the film, showing him in his jaeger suit. 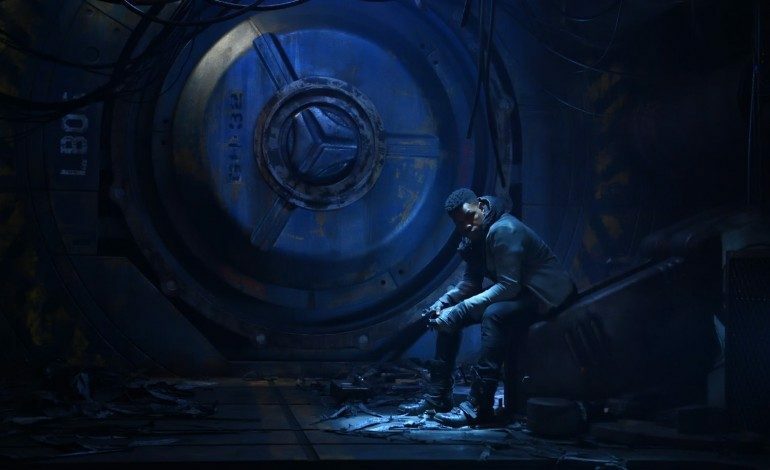 While fan favorite Stacker Pentecost, played by Idris Elba, ultimately died sacrificing himself to save the human race from the Kaiju, it looks like his legacy will live on: Boyega will play Jake Pentecost, his son. Boyega is an apt choice to star in the film, continually impressing his status as a charismatic and talented lead in films such as Star Wars: The Force Awakens and Attack the Block. Another actor who will not return is Charlie Hunnam, who played former lead Raleigh Becket. However, fans will be happy to know that a portion of actors of the surviving characters from the original cast have signed onto Uprising, such as Rinko Kikuchi, Burn Gorman, and Charlie Day. Other new cast members include Tian Jing and Scott Eastwood. Much like the original, it looks like the film will have a strong cast to helm it. While the original film was directed by Guillermo del Toro, the sequel is in director Steven S. DeKnight’s hands. Judging from the teaser, it seems like the spirit of the first film lives on in the original, valuing human ingenuity and hope in the face of potential devastation. Pacific Rim Uprising will land on the big screens on February 23, 2018!